An extra-time goal from Dan Beck was enough for Burgess Hill Town to reach the semi-finals of the Sussex Senior Cup - and set up a mouth-watering local derby with Haywards Heath Town. After a goalless 90 minutes and first half of extra time, Beck struck in the 112th minute to win it for Simon Wormull's men. 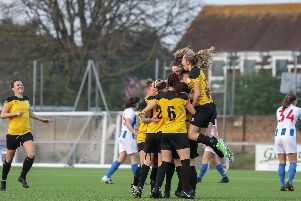 The semi-final is currently scheduled to be played on Wednesday February 27 at the Sussex County FA Ground.